Welcome to SJL Automotive Solutions. We offer Driver CPC training, driving assessment, transport management, and driver hire. 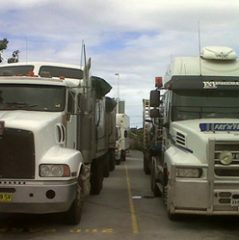 As of September 2009, all professional drivers of goods vehicles over 3.5 tonnes must undertake periodic training to hold the drivers CPC. SJL Automotive Solutions can provide this service to you and your business. With over 28 years in the transport industry, SJL Automotive Solutions can offer you the training necessary to obtain the Drivers CPC, with the experience and knowledge that 28 years in the transport industry can provide. 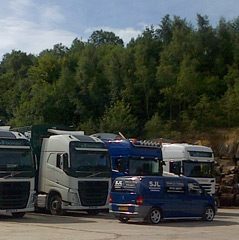 SJL Automotive Solutions also offers driving assessment, transport management and driver hire. Please contact Simon Lampitt for further information and course bookings. 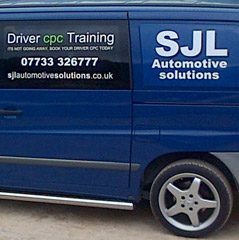 We used SJL Automotive Solutions to provide refresher CPC driver training. Simon made the training modules interesting and informative which meant that the drivers were fully engaged for the duration of the day. Solutions to other potential logistics issues that we have were discussed and Simon was most helpful in finding solutions. 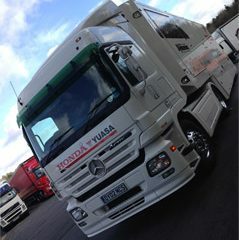 As an organisation, it is very important to ensure that all of our drivers are compliant. To this end, we agreed a training programme with Simon from SJL to suit. This works very well and all the staff have now gone through initial CPC training, which they all found informative and interesting. With a lot of negativity towards the Drivers CPC, Simon managed to turn this around by keeping everyone engaged during the sessions and, having had an interesting driving history, he managed to relate real life situations to the course material. I would recommend Simon and SJL Automotive Solutions as Simon has a “can do” attitude and can build training to suit your requirements. Join our newsletter for more information regarding our Driver CPC Training.